Lawyer, author, municipal official, MLA (1871-1874), MLA (1875-1878), MLA (1878-1879), MP (1878-1882), MP (1882-1887), MP (1887-1891). Born at Repentigny, Lower Canada, on 7 May 1837, to poor parents, he was educated at St. Mary’s (Jesuit) College, Montreal. He articled in law with George-Étienne Cartier’s firm in 1857 and became an active journalist. He founded Le Nouveau Monde (1857), L’Ordre (1859; devoted “to the church, to our faith, to the homeland, to our nationality”) and assisted in founding La Revue Canadienne in 1864. He was called to the Bar in 1864. He helped to organize the Papal Zouave Brigade which was sent from Quebec to aid the Pope in 1867-1868. In 1867 he helped create Le Nouveau Monde, and he was editing the paper in 1869 when the Red River Rebellion began. He printed much material favourable to the Métis, and soon came to the attention of Bishop Taché, who was on the lookout for Francophone professionals for the new province. In 1871 he established Le Métis, which became Le Manitoba in 1880. He was called to the Manitoba Bar in 1871 and opened a law practice with Joseph Dubuc. In the Manitoba criminal assizes of 1874 he defended Ambroise Lépine and André Nault, who were charged with the execution of Thomas Scott under Louis Riel’s Provisional Government. Royal was soon one of the leaders of the Francophones in Manitoba, with his finger in almost every possible pie. In December 1870, he was elected to the first Legislature of Manitoba for St. Francois Xavier West. He was the first Speaker of the Legislature, 1871-1872, then was appointed to the executive, where he was successively Provincial Secretary, Attorney-General, and Minister of PublicWorks. He was a consistent supporter of the Métis and their cause (including an amnesty for Louis Riel and Ambroise Lépine), anxious to incorporate them in a Francophone bloc in the provincial legislature. Acclaimed in the 1874 and 1878 general elections, he was eventually forced out of the government by John Norquay in 1879 and served as the first Reeve of St. Boniface the next year. 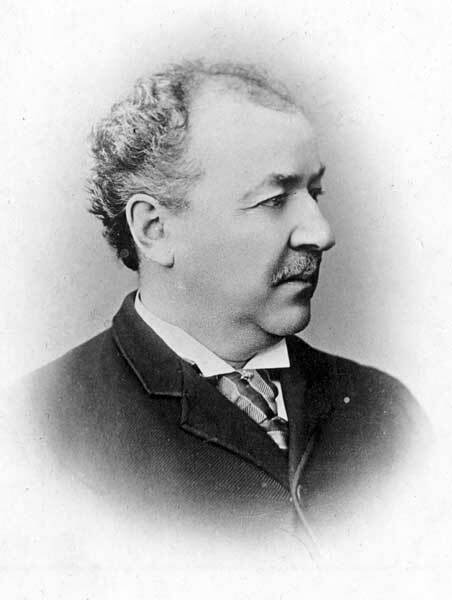 He soon shifted to the federal scene, where he became Conservative MP for Provencher, retaining the seat in 1882 and 1887. He served as a Bencher for the Law Society of Manitoba from 1877 to 1880 and served as its first President. He was one of the founders of the Winnipeg Board of Trade, in 1873. In 1877, he was a member of the First Convocation of the University of Manitoba and, two years, was a founding member of the Manitoba Historical Society. In 1888 he was named Lieutenant-Governor for the North-West Territories, but he was uncomfortable with the loss of French rights during his term of office, which ended in 1893. He hoped to become a senator but was never nominated. He was elected vice-chancellor of the University of Manitoba in 1877, and was also appointed a commissioner for the revision of statutes. In 1885 he was awarded the Confederation Medal by Lord Lansdowne, and was elected to the Royal Society of Canada in 1893. At the end of his term as Lieutenant-Governor he went to Montreal where he was appointed Editor-in-Chief of La Minerve in December 1894. He wrote La Vallee de la Mantawa (Montreal, 1869), Le Canada, république ou colonie? (Montreal, 1894) and Histoire du Canada 1841 a 1867 (Montreal, 1909, published posthumously). On 14 July 1857, he married Agnès Bruyère (?-?) at Montreal, Quebec. They had at least eight children, including Adele Royal (c1852-1894, wife of Joseph Turenne), Joseph Côme Séraphin Royal, Marie Antoinette Royal (1863-? ), Jules Royal (1865-? ), Emma Royal (1866-? ), Charles Henri Royal, and Alfred Royal (1869-?). Royal died at Montreal, Quebec on 23 August 1902. Although he was arguably the most important Francophone politician of his generation in Manitoba, there is no proper full-length biography. He is commemorated by Parc Joseph Royal along the Red River in St. Boniface. Joseph Royal, Dictionary of Canadian Biography XIII, 910-13. “Hon. Jos. Royal is dead,” Manitoba Free Press, 25 August 1902, page 1.